We had a great hop last week, so welcome back for week #24! I can't believe how quickly the weekend got here! Thank you all for linking up and spreading the word. Our sweet guest host this week is Courtney from Passionately Curious! Courtney's blog is a lot of fun! Make sure you stop by and check it out! Now let's get started! But first, make sure you follow the host and guest host so you can stay up to date on all of the future link ups and posts Host: The Life Of Faith Guest Host: Passionately Curious and then go ahead and start linking up! Please make sure you are linking your BLOGLOVIN' account and not just your blog! 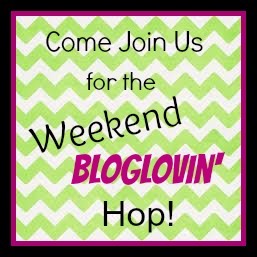 And don't forget to visit some of the other blogs linked up and make some new friends! !